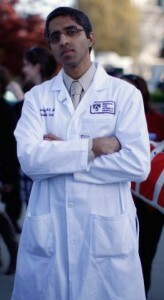 Two years out of his residency Murthy started Doctors for Obama (America) to help his majesty get elected. Most MD’s in his position would pursue their field of choice to help the sick or do research but not this guy. This is the doctor you would see where right after you would be on the phone before getting a foot out of the office looking for a second opinion! But this is what we are left to expect coming out of this Senate routinely appointing unqualified political activists into positions of power. The election of obama set the precedent that one no longer needs experience to hold high office. Community organizers, political activists, billionaire puppets are the only qualifications needed now. Murthy, a 36-year old physician, was approved 51-43 as the nationâ€™s top doctor despite opposition from the GOP for his support of gun control and ObamaCare. Three Democrats voted against him, while Sen. Mark Kirk (Ill.) was the only Republican to vote in favor. â€œCombined with the crucial support for fighting Ebola included in the bill to fund our government next year, Vivekâ€™s confirmation makes us better positioned to save lives around the world and protect the American people here at home,â€ he said.